Issue 2 of the anthology "Moose Crossing" featuring "The Osprey" with pencils by me. 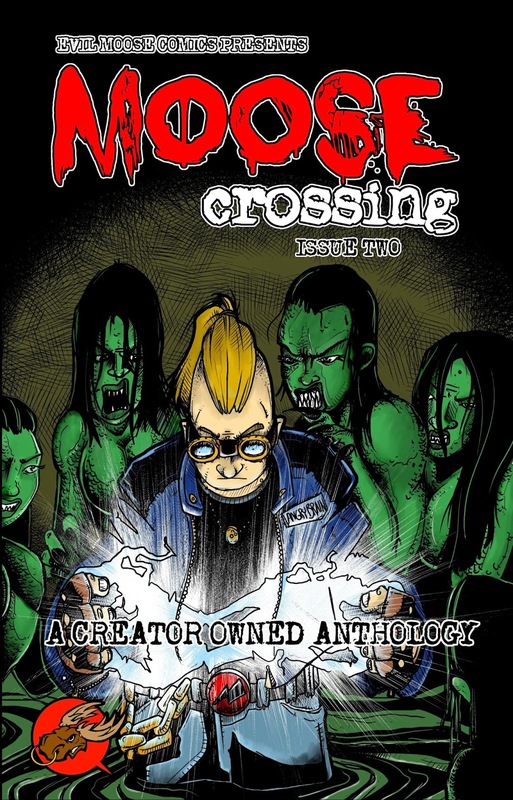 Moose Crossing is a creator owned anthology... and an introduction to the super hero universe of Evil Moose Comics! With such characters as Focus, Osprey, Trance and MANY OTHERS!